Owning a cannabis retail operation is a labor of love that requires meticulous attention to detail, an unwavering passion for cannabis, and a desire to learn. If you’re an entrepreneur in this burgeoning industry, it’s critical that you stay up to date on the latest news, market trends, and regulations not only to impact your bottom line but protect your cannabis retail investment from compliance infractions. Cannabis industry events are an excellent resource of verifiable information and the ideal place to create and foster business relationships. 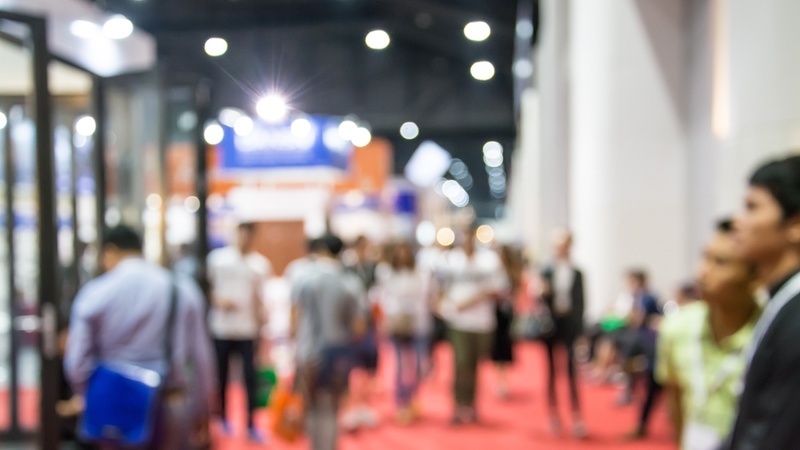 However, with so many trade shows and conferences boasting the best panels, exhibit halls, and invaluable networking opportunities, how do you ensure that you're attending the industry events that fit your specific needs? Here are the top 5 cannabis industry events retailers must attend to keep up with industry developments and discover the latest tools in cannabis retail. Legal recreational cannabis sales are set to commence in Canada on October 17. If you’re planning on joining the green rush, right now is the time to stay up to date on the latest industry news, understand market trends, find the resources you need to open a cannabis dispensary and attend as many educational events as possible. In August, MJBizCon INT'L, the go-to cannabis industry event in the U.S., is going global and taking over Toronto for three days. If you're serious about cannabis retail, you can't miss this opportunity to meet industry leaders from around the globe focusing on the role of the global cannabis marketplace in the most impactful nation in the industry today. Want to arm your shop with the best tech in the cannabis space? New West Summit, the first conference to focus exclusively on cannabis technology developments, is the event for you. The three-day conference brings together the best and the brightest international entrepreneurs, thought leaders, innovative cannabis brand developers and more to look at what’s next for technology within the burgeoning industry and beyond. Panel discussions topics range from the state of cannabis retail POS systems to the future of cannabis banking and currency. Whether you are in the cannabis industry, or have been considering getting involved but aren’t sure where to begin, the Cannabis World Congress Business & Expo (CWCBE) is the perfect place to start. The business-to-business trade show event is held three times per year in the largest media, financial and business markets: New York, Los Angeles, and Boston and is the leading forum for dispensary owners and entrepreneurs looking to achieve business success and identify new areas of growth in this dynamic and fast-growing industry. Are you looking to take your cannabis business and career to the next level? Look no further, MJBizCon Las Vegas is one of the cannabis industry highlights of the year and has quickly become a heavyweight in the event space, ranking as the fastest-growing trade show in the country and attracting more attendees than many mainstream industry gatherings. Make significant strides in your professional life and rub elbows with thousands of people who share the same passion for cannabis as you. This annual summit is hosted by the National Cannabis Industry Association (NCIA) and brings together more than 7,500 of the industry’s best and brightest minds. In addition to being named the industry’s most influential trade show, the Cannabis Business Summit is the first major national cannabis business event to be held in California since the state began its rollout of legal adult-use sales. If you’re a California dispensary owner and you want to make sure your store is bulletproof when it comes to keeping your operations compliant, you must attend this event. Ready to get serious about cannabis retail? Book a meeting with us at the Cannabis Business Summit in San Jose to receive a personalized demo of how our cannabis dispensary pos can solve your biggest challenges.